Everything you need to make sure you show gets everywhere. We'll set up your distribution and syndication. - Syndicated on Apple Podcast, Google Play, TuneIn, Stitcher, & more! We'll make sure your episode gets published properly. 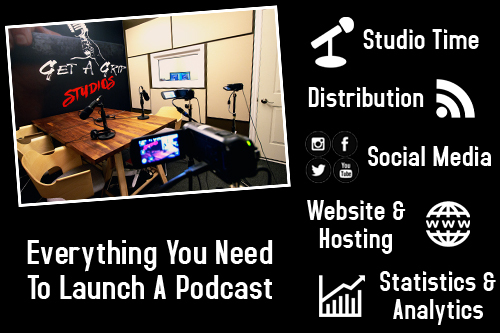 Choose one of our Complete Podcast Packages, and we can take care of everything you need to launch, host, produce, and distribute your show, including statistic tracking and more! Located outside of Toronto? No problem! We can capture audio & video from up to 8 different locations around the world in real time, as our producer edits the show from our location. Want to record at a unique location? We'll bring everything to you! We're able to arrive at your spot and set up HD cameras & professional audio and go live to air or record for post production edits. 1Where is the studio located? Our studio is located in North York, Toronto, Ontario, Canada. 2Can you produce audio & video podcasts? 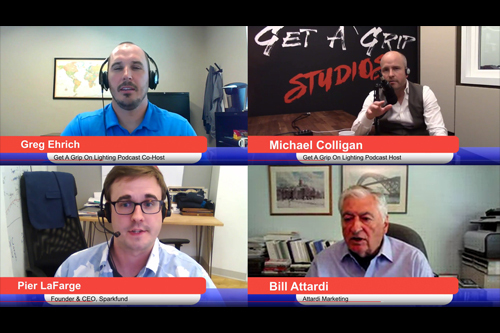 We can produce both video and audio podcasts! 3Can you build me a website? Our deluxe starter package includes a customized Wordpress website which includes links to your podcast, blog, about section, and social media accounts.